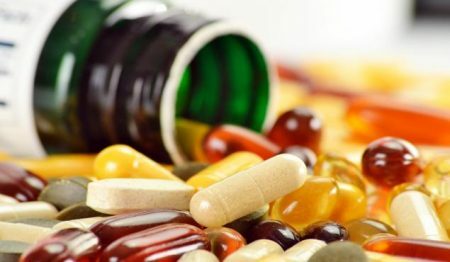 A 2017 review article by Yong-Jiang Li and colleagues in the journal Frontiers in Psychiatry describes the current research on dietary supplements that may help improve symptoms of autism spectrum disorder. Some of the most promising research was on vitamin D, folinic acid, and sulforaphane. Methyl B12 and digestive enzyme therapy had some positive effects, while gluten- and casein-free diets and omega-3 fatty acids did not seem to help improve autism symptoms. Li and colleagues described a randomized, controlled trial of vitamin D in 109 children with autism aged 3 to 10 years. The experimental group received doses of 300 IU/kg of body weight/day, not exceeding 5000 IU/day. By the end of the four-month study, vitamin D levels had significantly increased in the experimental group compared to the control group. Those who received vitamin D also showed significant improvement on all ratings of autism symptoms, which included general scales of autism symptoms and more specialized checklists that capture aberrant behavior and social responsiveness. The review article also described a randomized double-blind placebo-controlled trial of folinic acid in 48 children with autism spectrum disorder and language impairment. Participants received high-dose folinic acid (2 mg/kg/day) or placebo for 12 weeks. Those who received folinic acid, a form of folic acid that can readily be used by the body, showed significant improvements in verbal communication and core autism symptoms compared to those who received placebo. Participants who tested positive for folate receptor alpha autoantibodies (FRAA), which disrupt the transportation of folate across the blood-brain barrier and are common in autism, showed greater improvements from taking folinic acid than those without this abnormality. Methyl vitamin B12 is another supplement with some positive data in the review by Li and colleagues. They described results of a double-blind placebo-controlled trial of methyl B12 in 57 children aged 3 to 7 years with autism spectrum disorder. The children who received methyl B12 showed significant improvements in their autism compared to those who received placebo when rated by clinicians, but not when rated by their parents. The children in the experimental group also showed improvements in some metabolic measures (increased methionine, decreased S-adenosyl-lhomocysteine (SAH), and a better ratio of S-adenosylmethionine (SAM) to SAH) that were associated with the improvement in clinician-rated symptom scores. Some studies described by Li and colleagues implied that probiotics and digestive enzymes could help in autism. One double-blind randomized controlled trial of digestive enzyme therapy in 101 children with autism spectrum disorder aged 3 to 9 years found that after three months, those who received the therapy had significant improvement in emotional response, general impression autistic score, general behavior, and gastrointestinal symptoms. Effects on core symptoms of autism were inconclusive, but gastrointestinal improvement was clear. Editor’s Note: N-acetylcysteine (NAC) was not included in the review by Li and colleagues, but three placebo-controlled studies have suggested that the antioxidant can be helpful in autism. One study used NAC as a monotherapy, while the other two paired NAC with the antipsychotic risperidone. Two types of dietary changes that did not seem to help in autism were a gluten- and casein-free diet and supplementation with omega-3 fatty acids. Li and colleagues found no evidence that a diet free of gluten and casein improved autism symptoms, nor did supplementation with extra gluten and casein worsen symptoms. Among six randomized controlled trials of omega-3 fatty acids in autism spectrum disorder, five showed no effect of omega-3s on core symptoms of autism.